Armenia is a country in Western Asia, or more specifically, the South Caucasus area of Eurasia. The sole official language is Armenian spoken by almost 98% of the population which is ethnic Armenian. The Armenian alphabet is unique in the letters or characters that make it up. The alphabet was introduced by Mesrop Mashtots, and linguist and church leader, in 405 AD. There is an extremely long Armenian literary tradition, such that there are two modern literary dialects. Armenian is pluricentric, meaning there are two standard forms of the language: Western Armenian and Eastern Armenian. 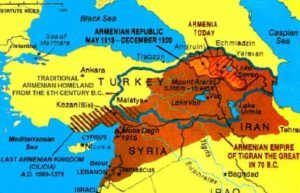 There are a few things to know about Armenian trade and relations with other countries and the Armenian economy. Armenia has to import most of its energy and raw materials, but it still has a strong industrial sector that includes manufacturing of machine tools, electronics, textiles, and more. It has great relations with most countries, especially Russia which provides Armenia with most of its fuel. Armenia exports to a few countries, but Belgium is its top buyer of exported goods. 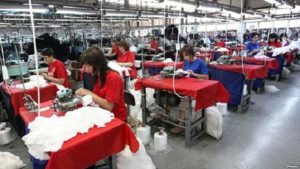 Though Armenia has managed to create a moderately stable economy, a lot of what keeps it that way is investment as well as support from Armenians working abroad. The government is trying to promote a few new economic sectors, such as information technology, communication technology, jewelry making, and precious stone processing. Get Started with Armenian translation services today!